I have yet to arrive at a County Park trail head where a new map was not available. 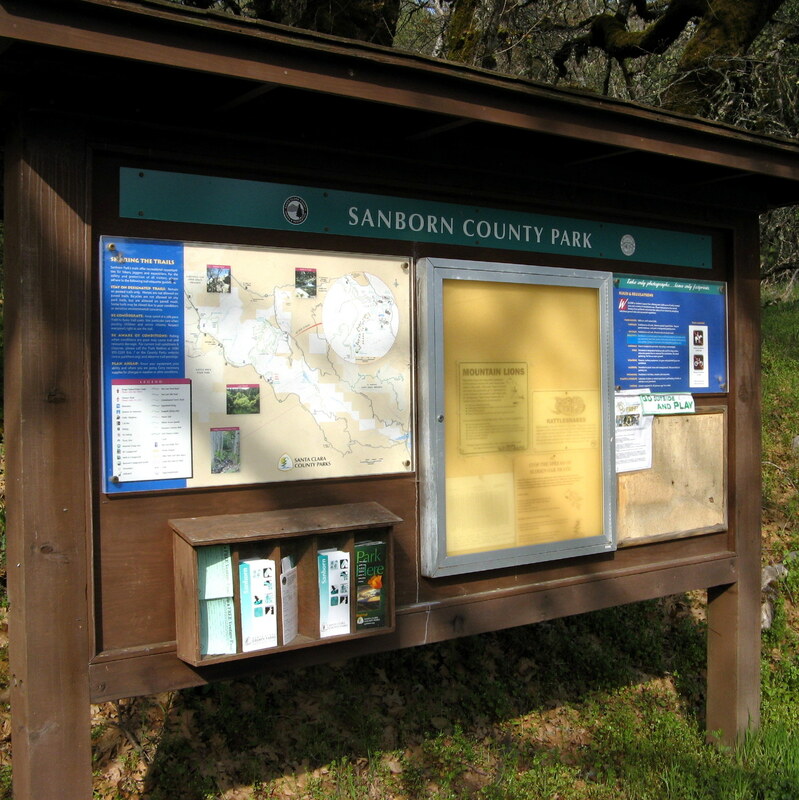 They also post the latest mountain lion sightings (if any), trail closures, and information about other parks near by. Today, I would be hiking a “balloon hike.” That is, you start off and hike several miles on one trail, connect to a loop trail, reconnect to your original trail…and, hike back to the trail head. I parked at the Sunnyvale Mountain trail head, which is the southernmost end of the Skyline trail. 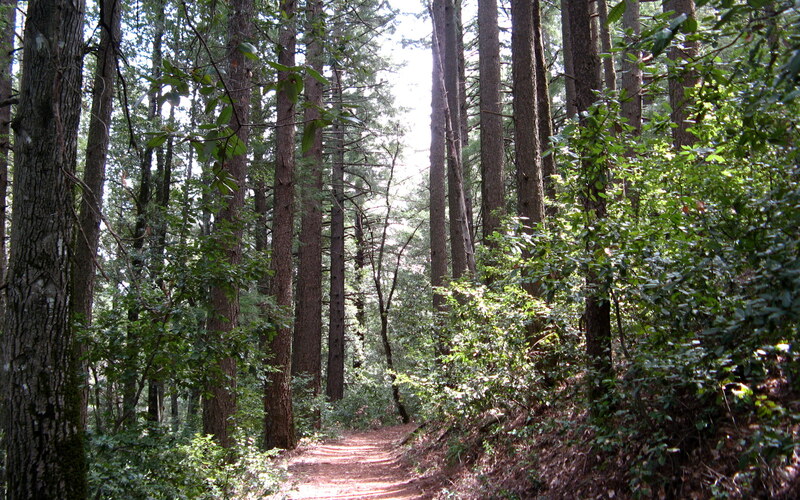 The Skyline trail roughly parallels Skyline Boulevard, and is part of the Bay Area Ridge Trail. Most of this trail takes you through an evergreen forest comprising Oaks, Madrones, Douglas Fir, Tanbark Oak, and a few Redwoods. Most of the trails look like this…weaving through a “valley of trees” There are several climbs of 100-200 feet…but, nothing too strenuous. The trail does skirt the edge of the mountain with several steep drop offs. But, the trail is probably 4-6 feet wide at these points…so, the drop offs don’t present any problems. The Skyline trail also travels past several sandstone outcroppings. Almost all of the sandstone is partially covered in moss. Because most of the trail is along the north and east facing slopes of the Santa Cruz Mountains, our coastal fogs are “captured”, which keeps everything in the forest nice and damp! Needless to say, the Douglas Firs and Redwoods thrive! 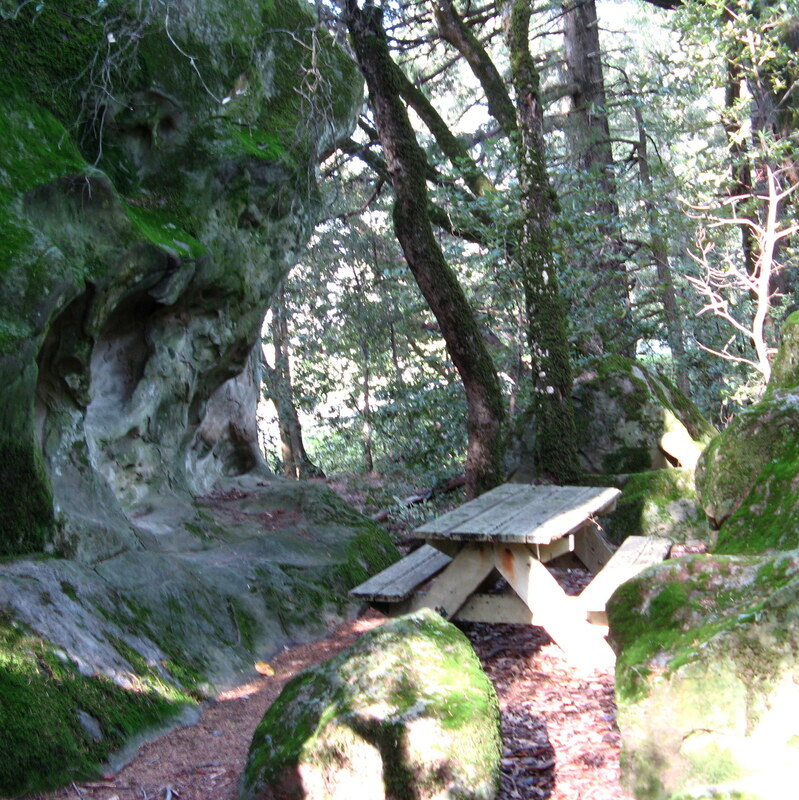 I found this great picnic area tucked into a sandstone “nook” just off of the Skyline Trail. After almost 3 miles on the Skyline Trail, I took the Indian Rock trail out to…well, Indian Rock! Indian Rock is a very large sandstone rock – probably 100 feet wide and 40-50 feet tall – that is a favorite of local climbers. 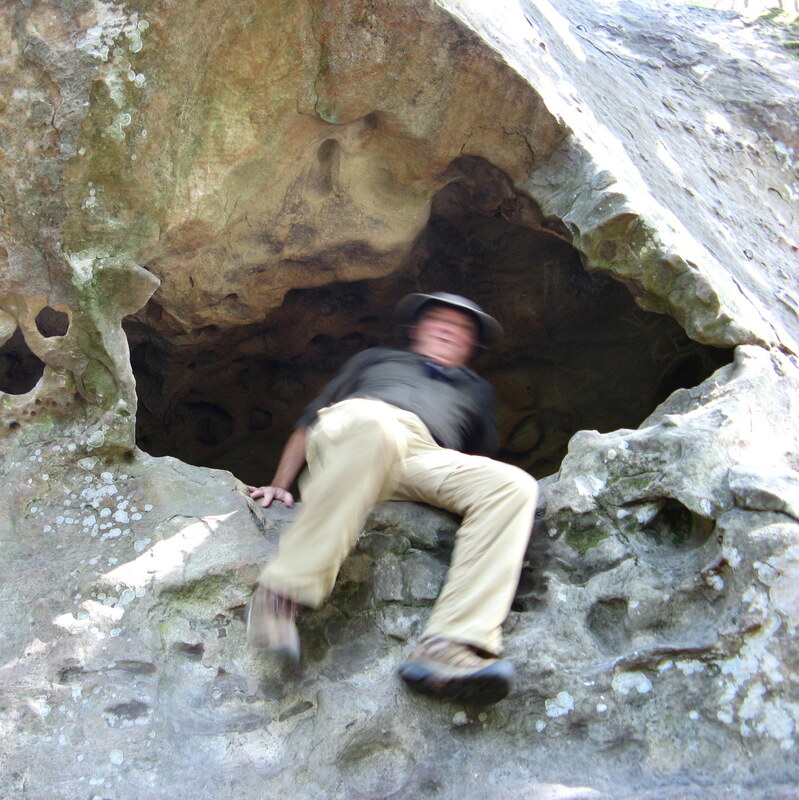 Here is one local who was trying to climb up to a cave located about 15 feet off of the ground. Ha! I set up my camera to get my “this is my hike no…” picture. As usual, I set the timer, but was never able to get up to the ledge before the shutter went off! 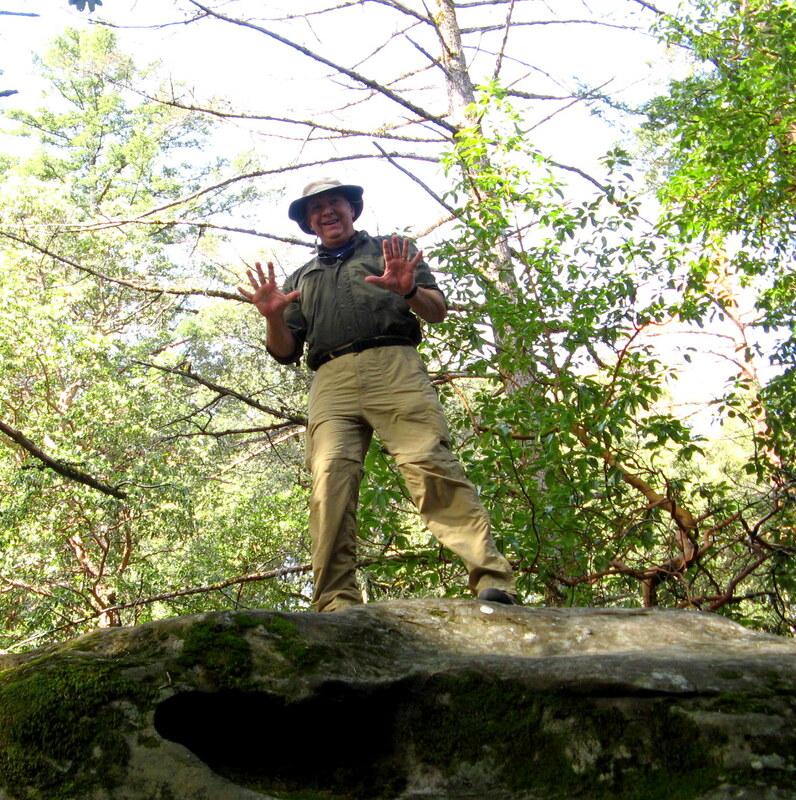 After 4 or 5 tries, I decided to climb up to the top of 10 foot high sandstone boulder located at the base of Indian Rock across from the cave to take hike No. 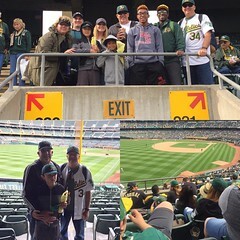 10’s picture…not as impressive…but, not as blurry either! Leaving Indian Rock and a couple of college age climbers who were polite not to laugh in front of me, I hiked back to the Skyline Trail to continue on to the “loop” portion of my hike. 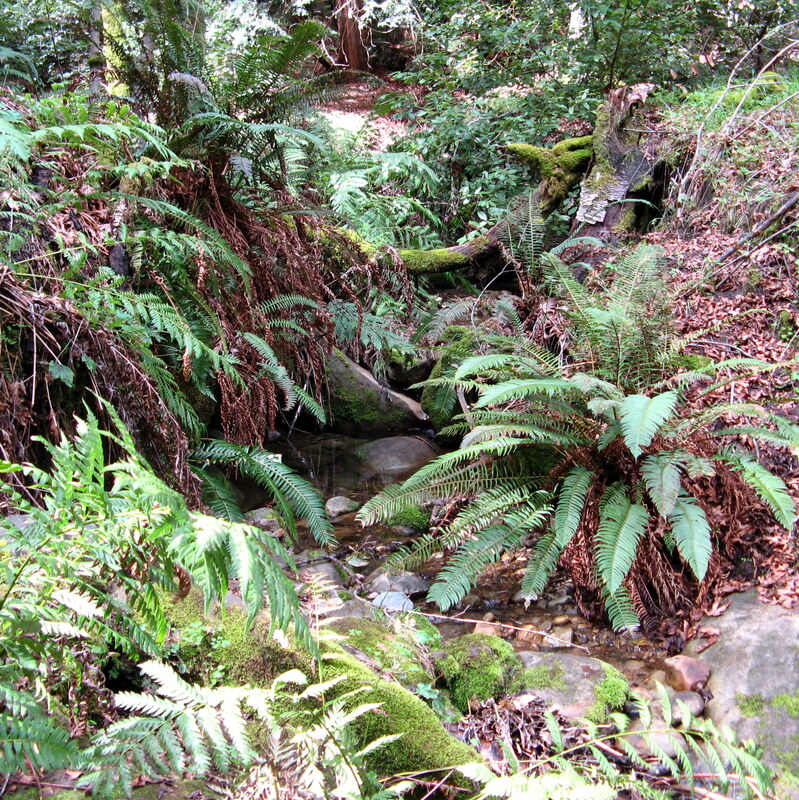 The Summit Rock Loop Trail follows Bonjetti Creek down about 500 feet into a very picturesque meadow that is filled with many ferns and a few wildflowers. I also saw remnants of Sanborn park’s last timber harvest, a few redwood stumps that were probably 15 – 20 feet in diameter and totally covered in moss. The creek formed little pools in the meadow that were full of frogs, newts, and other water critters of the forest . The 500 foot climb out of this meadow and back to the Skyline trail was a challenge…but, the meadow at the bottom of the loop trail was well worth the effort. Unfortunately, the short trail to Summit Rock was washed out and closed…so, I will have to return later this summer to explore. Castle Rock State Park is located just on the western side of Skyline Boulevard at the junction of the Summit Rock Loop Trail and the Skyline Trail. There is a large parking area here that had almost no empty spaces…so, arrive early on the weekend! I would rate this 8.5 mile hike as moderate with some difficult climbs. The Summit Loop Trail drops and then climbs nearly 1,000 feet over two miles. The big trees are spectacular…but, I was also impressed with the sandstone formations and the fern covered valleys and meadows. This will be a good hike to go on during the hottest parts of summer…the trail is close to 80% under shady forest cover. One 6.5 mile out and back with a 2 mile “balloon” at one end. Trails: Skyline > Indian Rock > Skyline > Summit > Skyline. 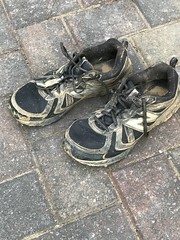 Hey, that’s 10 hikes and 63.7 miles…I’m 25% through my journey! 30 hikes and 136.3 miles to go! WooHoo! #10! The miles keep adding up. I particularly like the sound of this hike since I’m used to being surrounded by trees.